To be eligible for promotion, and ensure best results, patients must have had an examination and professional cleaning in the last 2-3 months and diagnostic x-rays within the last 1 year. Patient must be over 18 years of age with teeth deemed suitable for Teeth Whitening. A complimentary pre-whitening consultation appointment is provided to assess suitability. This is a limited examination and does not include a comprehensive examination and X-Rays. Alternatively at Smile Place dental we provide Check up, Clean and X rays at $180 special, or no gap on x rays, if you have dental insurance cover. We recommend this 1-2 weeks before whitening procedure, for optimal results. 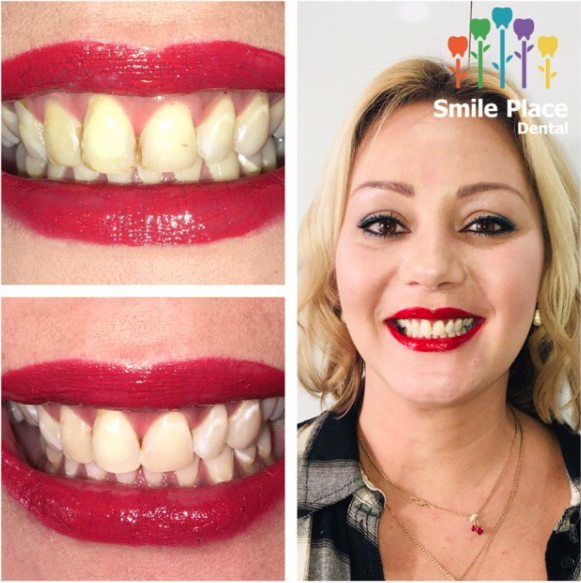 Patient may be refused whitening treatment, if dental disease or other conditions are present that are contra-indications for teeth whitening. Only applicable at Glen Iris location. Zoom whitening for TWO special only redeemable when both individuals receive treatment at same time ( separate treatment rooms).